Cloud computing or “the cloud” is one of today’s hottest computing concepts. It’s increasingly how small and midsize businesses take advantage of automation and improve operations and effectiveness. The Cloud makes it easier for the distributed workforce, with remote employees, to operate as a team and share information. The Cloud provides a central place for proprietary databases and applications. It saves money too, because the Cloud typically requires less investment in capital equipment. Computing operations can be hosted virtually in a central data center, reducing maintenance costs of maintaining equipment on premises. And the cloud is also an integral element of backup and disaster recovery plans for many organizations. If one location is inaccessible (such as when Hurricane Sandy hit the East Coast U.S. last year), organizations with cloud-based backup systems can continue operating with minimal or no interruptions. But how does your organization connect to cloud applications and data stored in the cloud? We don’t mean how individual users connect necessarily, but rather how your network connection is set up to pass information among your systems and access applications. You may think there’s only one practical choice: use a regular Internet connection. Many small companies start out that way. But one of the trends we are noticing is that a dedicated Ethernet connection for accessing the Cloud, is now within reach for smaller businesses. In the past these dedicated networks and connections were available mainly for large enterprises — and too pricey for smaller businesses. On top of that, they were often complex to set up and maintain. But as technology takes on a central role in smaller organizations, and demand for secure access increases, ISPs are coming out with new offerings at price points designed for small and midsized companies. And not only is the price within reach, but the setup and maintenance can be outsourced now to your ISP. As we’ve pointed out before, small businesses are now being targeted by cyber attackers. Smaller organizations are perceived as soft targets. Let’s say you need to back up sensitive customer data to your cloud system. With public Internet connections, there is greater risk of intrusion. Information is passed along a route in the public Internet, and your service provider probably will not take responsibility for an intrusion that happens with another company along the way. Dedicated Ethernet connections are more secure by their nature, because that “handing off” of data through the public Internet doesn’t happen. In the above scenario, less security means more potential liability for your company. A security incident can mean considerable expense to investigate, mitigate issues, notify customers, and potentially pay damages — not to mention a public relations nightmare in the making. Also, if your company is involved as a subcontractor to a larger organization, you may be required by contract or policy to take certain security steps, or indemnify against them. If you company is not able to meet security requirements, you may not be able to take advantage of opportunities. There was a time when setting up an Ethernet connection to the cloud would have been challenging. But today they are much less complex. You can basically outsource the private Ethernet connection. An ISP that is set up to serve business clients can deliver a more-or-less “plug and play” dedicated network, meeting your requirements, to connect to the cloud. You don’t have to support the Ethernet connection either — ongoing support gets handled by your service provider. When your cloud assets are mission critical, reliability and availability are key issues. 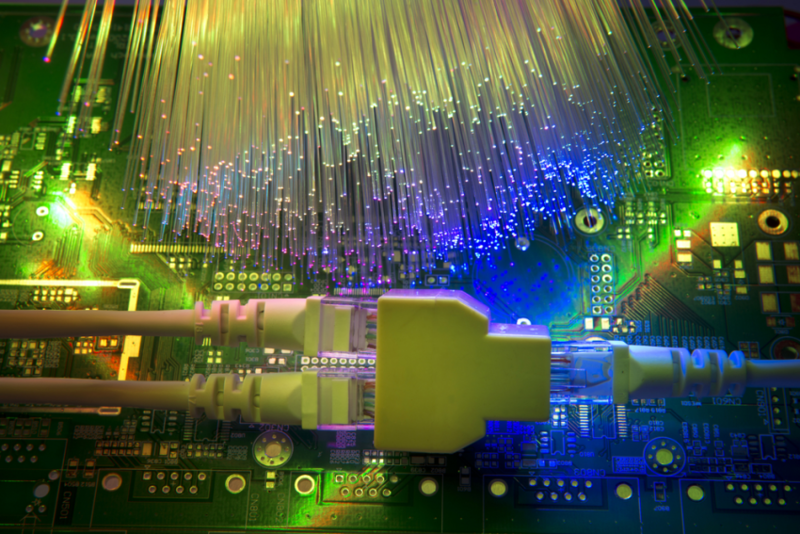 Ethernet is typically based on fiber and can be switched to a redundant path almost instantly, eliminating interruptions. Public Internet connections can’t guarantee that your systems will be available consistently with the level of performance needed. With a dedicated Ethernet network, your offsite cloud data and applications can offer the same level of performance as if they were located within your local are network, but still maintaining the advantages of cloud computing.